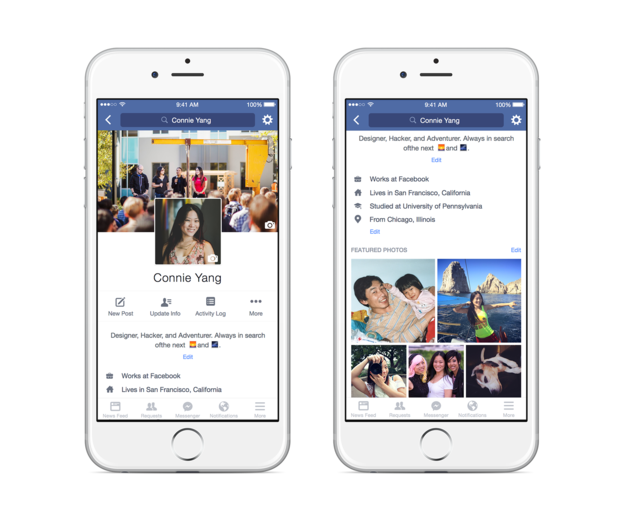 Facebook has announced that they are giving users the ability to add a video to their profile picture. After hearing about the new feature, I was originally left scratching my head, but after seeing how it works, it’s actually pretty cool. How it works is simple, users record themselves for up to seven seconds and then simply select the new video as there profile pic. Unfortunately this feature is being rolled out slowly with a small percentage of Facebook iOS users in California and the United Kingdom getting first dibs. But, don’t cry, Facebook is looking to launch this more broadly in the coming months. The tech company also rolled out a temporary profile picture option. Users can select which photo they wish to replace their standard profile picture. This is perfect for #tbt or birthday’s or other special occasions. And last but not least, Facebook is taking a page from Twitter’s playbook by giving users the ability to add a short bio. The bio limit is 101 characters. Users will also be able to pick up to five “Featured Photos” that will display when other people visit your page. We have to tip our hats off to Facebook, they are constantly looking to push the envelope. One thing is for certain they understand that if a “picture is worth a thousand,” then a video must be a million. Does your page show any of the new updates?